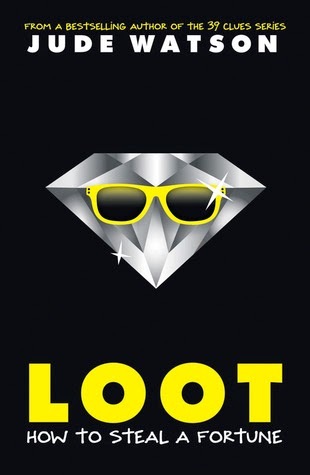 I've been reading lots of middle grade novels lately so that I have some good books to recommend to my fifth graders, but Loot is the first one that I have been very enthusiastic about. Both the boys and girls in my class will be competing to read this one! March McQuin is the son of a famous jewel thief, but when his father dies during a job, he is left on his own with a prophecy hanging over his head. With a group of other misfits, he has to outwit professional thieves and commit a series of heists to break the curse hanging over him. I loved that this isn't a "girl" book or a "boy" book, it's just a quality mystery and adventure. There are strong male and female leads, and the reader is kept guessing about who is trustworthy. My students are always looking for a good mystery and I often end up falling back on classics like The Westing Game. Loot is what I will be handing to students who are looking for action, mystery, and excitement in their next book.